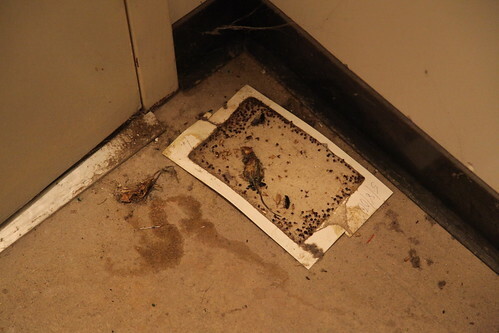 I found it rather unnerving that even the rodents had apparently long abandoned the mall. Judging by the near-skeletal remains of the mouse on the left, this has been here for a while. I imagine a romantic ending for these rats. Perhaps lovers, one became ensnared in the trap, and the other waited and died together with their love.